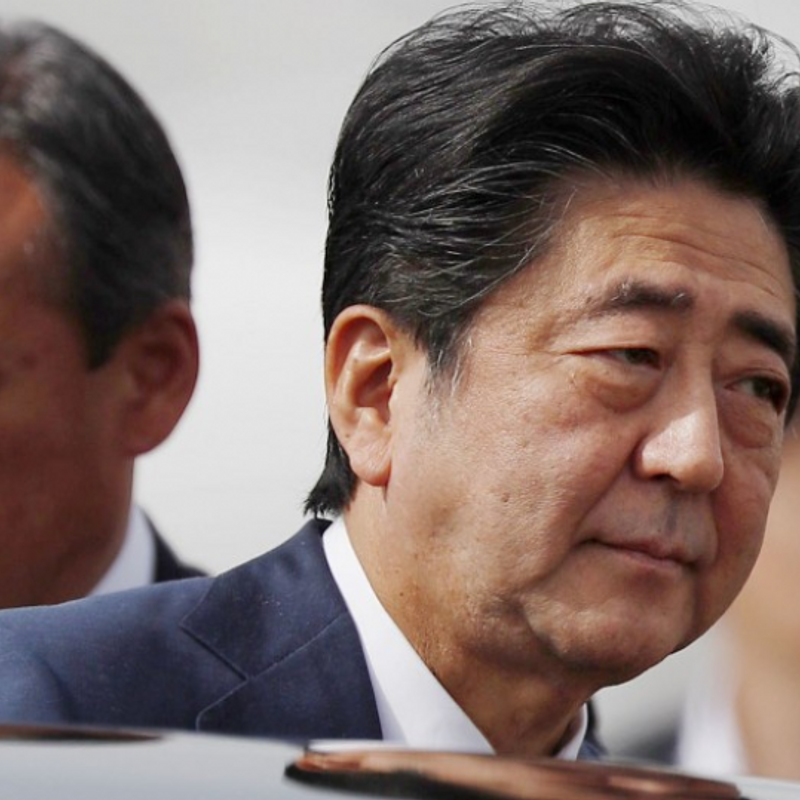 WAKAYAMA, Japan - A police officer lost a loaded pistol while guarding Prime Minister Shinzo Abe's motorcade in Wakayama, western Japan, on Friday night, police said, but the gun was returned about an hour later. There were no signs it had been fired, the police said, while declining to disclose how many bullets were loaded. The police disclosed the incident at around 2:30 a.m. Saturday, more than six hours later, and apologized for the delay. "It is very regrettable that such an incident occurred. We will make every effort to prevent a recurrence," Katsuro Matoba, security division chief at the prefectural police, said in a statement. Abe was on his way to Kyoto after delivering a speech at a meeting in Wakayama for the upcoming Liberal Democratic Party leadership election. The officer's automatic weapon slipped out of its holster and dropped onto the road when he was leaning out of a police car window to control traffic at around 7:50 p.m. Friday, as the holster's button was unhooked as it got caught in the window frame, the police said. The officer in his 20s was not using a strap designed to prevent a gun from falling, though it was not against protocol because he was wearing plain clothes rather than a uniform, according to the police. A local resident found the gun around 8:00 p.m. and handed it to one of around 50 officers who were searching the area for the lost weapon around 9:10 p.m.
"I never could have imagined they were looking for a pistol," a woman in her 60s living in the neighborhood said. Some of the officers visited her home and asked her if they could look inside, explaining they were searching for a lost item. They also searched the yard of the house with flashlights, she said. A man who runs a hardware shop said he was not aware of the incident until he watched a news program on TV in the morning. "It is scary. (Police) took too long before letting the public know," he said.